Looking at outer space in our class? 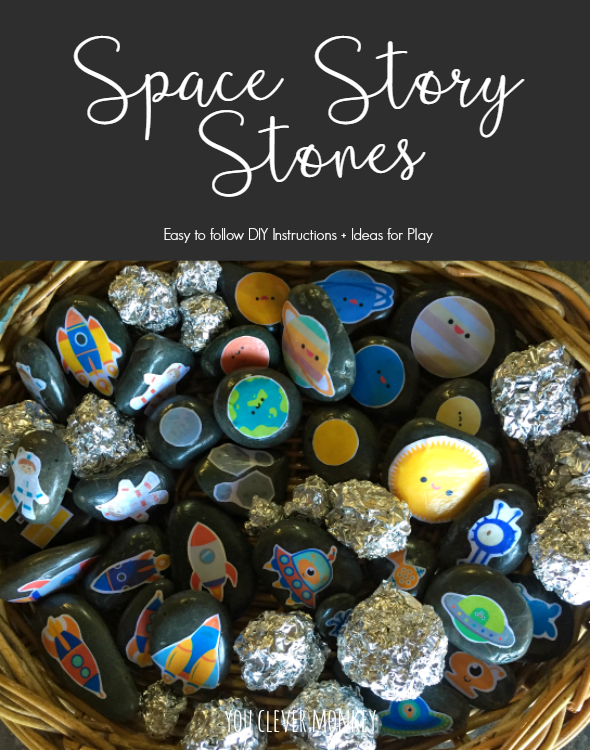 Find plenty of space themed play ideas, simple DIY projects and other space exploration activities for your Early Years classroom here. One of the most powerful learning tools in the Early Years is engagement. As a teacher or parent you can provide children with the best resources and setting yet if it doesn't capture a child's interest, the learning opportunities can be lost. I am a strong advocate for purposeful play in early childhood. I do believe that play allows children to make progress in all aspects of their learning when it begins with their interests. Young children are fascinated by the world around them and pretend play allows them the opportunity to learn about the world in a safe, familiar environment. 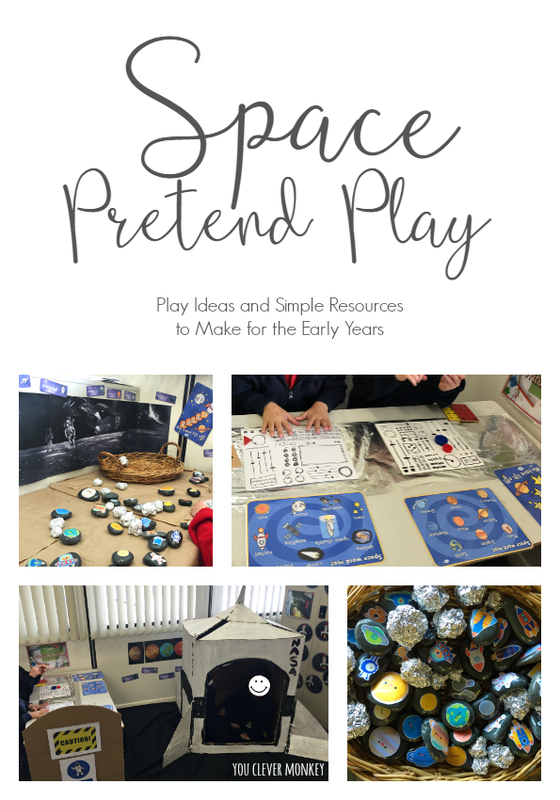 Imaginative play is a valuable part of play so when the children in my class were interested in space, I created a few simple resources for play to follow their natural curiosity and capture their interest. As with anything you do, finding out what the children already know is important. After reading the picture book The Terrible Suitcase and talking about the book, I had a starting point. 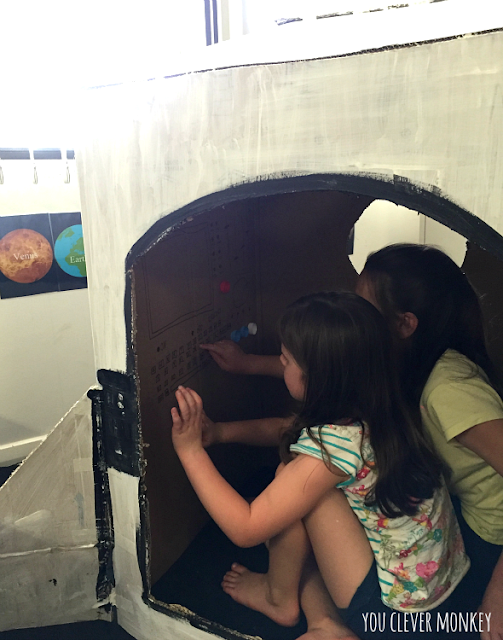 Using a large recycled cardboard box, my own children and I created a rocket ship for the corner of the classroom. 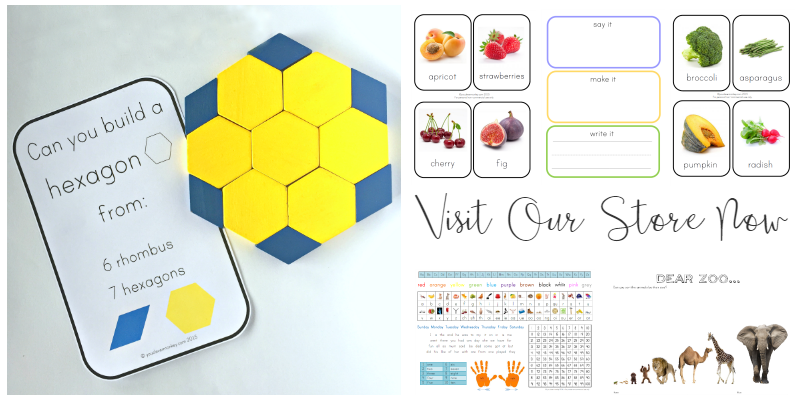 I found plenty of printables from Early Learning HQ and Twinkl to help create a print rich environment for our pretend play. 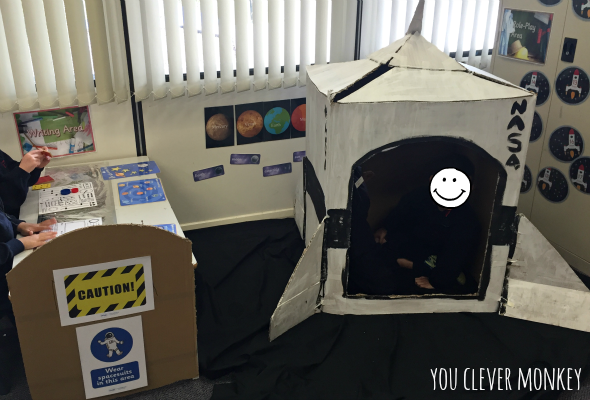 To accommodate more children in the same space, we created a space station control centre. The expectation was two astronauts could be in the rocket while others sat in the control centre but they would need to change roles too. 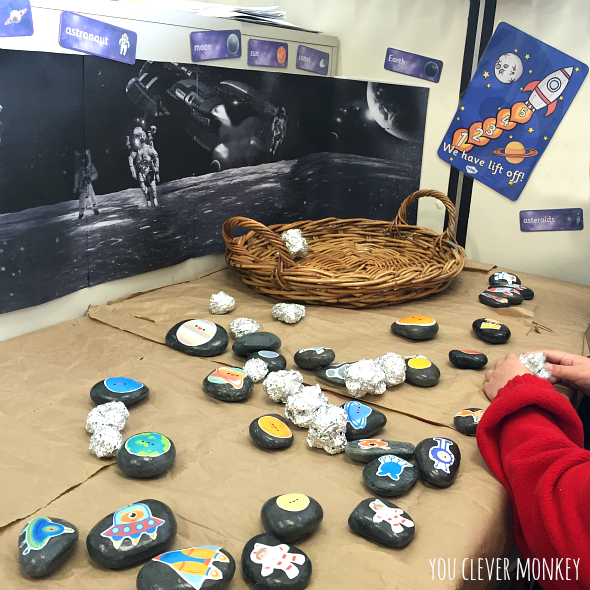 I also created a small world in another corner of the classroom using some space themed story stones. 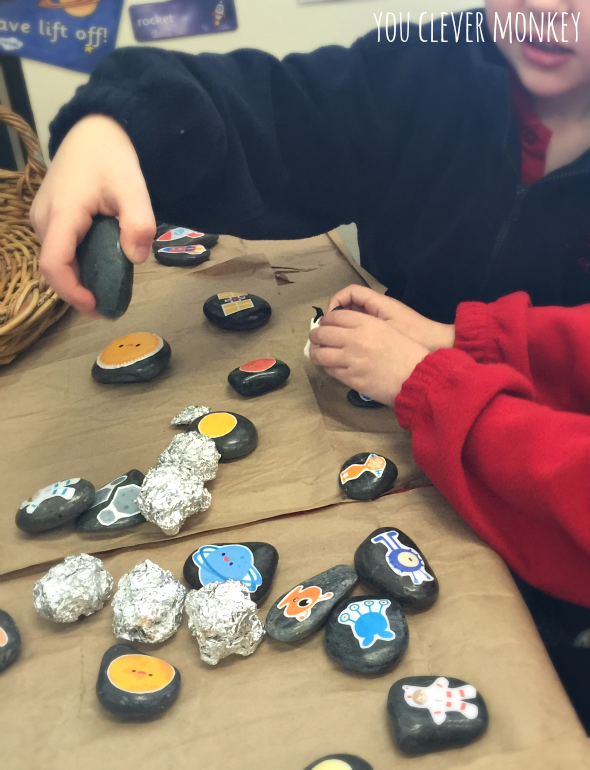 Simply cut out the pictures and then match them to a similar sized stone. Paint the stone with some Mod Podge then lay the image on the Mod Podge while still wet then cover the picture with another layer of Mod Podge. 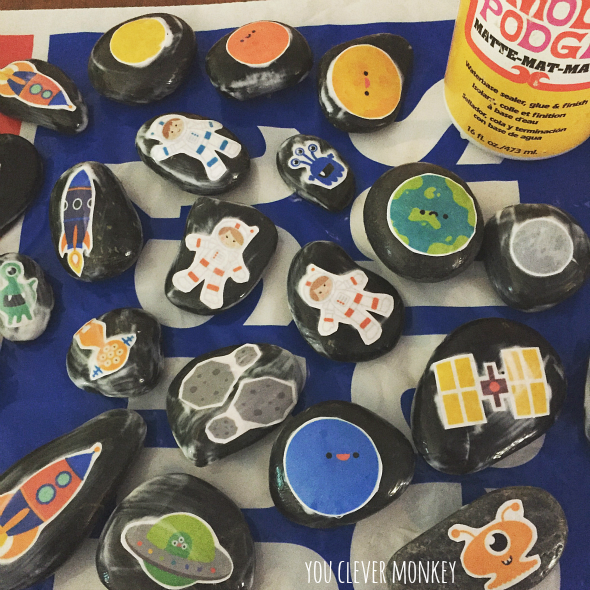 Leave them to dry on some baking paper or an old plastic shopping bag - something the Mod Podge won't stick to. When dry, re-coat the entire stone with another later of Mod Podge. Start on the reverse side then front before leaving to dry completely. 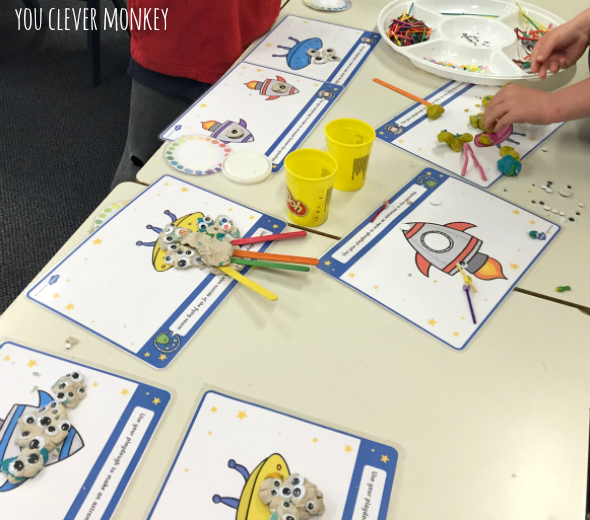 We also used these space themed mats with our playdough. Who doesn't love googly eyes! Inspired by these invitations, the children were making box rockets and constructing paper helmets to wear in the rocket. They were painting space pictures in our art space and understood why astronauts float in space while learning about gravity and forces in Science. 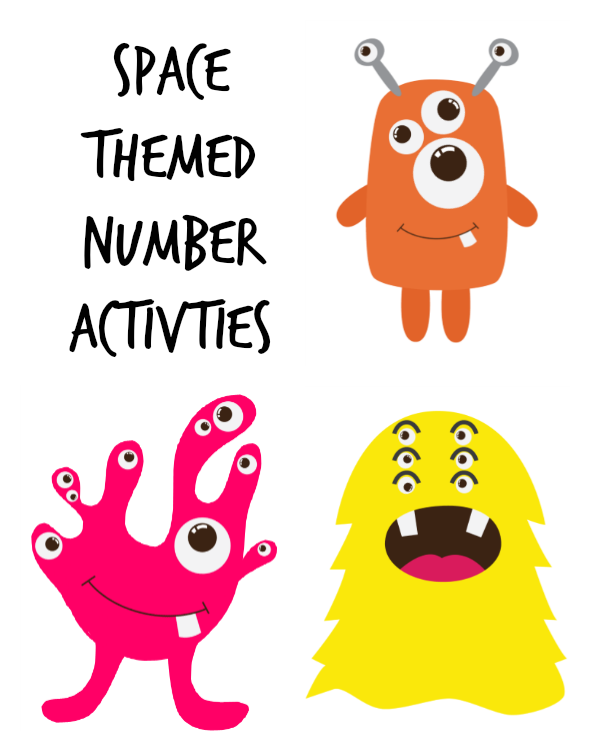 We also continued our exploration of space into our literacy and numeracy blocks and prepared a dance to Hi-5's song Planet Disco for school assembly which the students loved as they all got to dress as astronauts. By creating these invitations, the children were engaged and extended their own learning as a result. 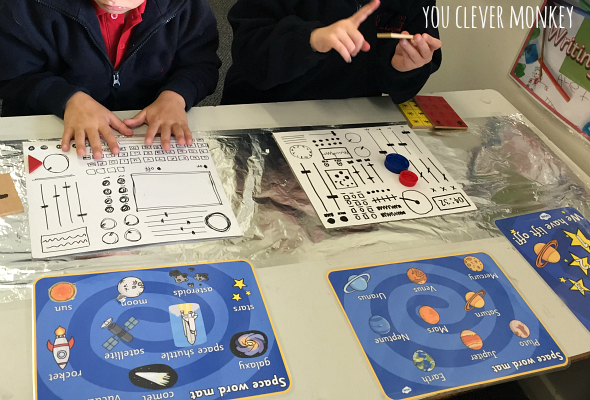 Their vocabulary and understanding of concepts was improved through play.